This short tutorial shows how to use use the PICPgm programmer on a Windows PC. 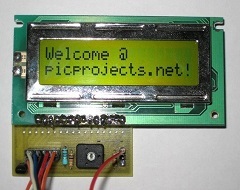 Connect the programmer hardware to your PC. The PIC programmer hardware shall not have the PIC inserted so far. Now start the PICPgm tool. It shall detect the programmer automatically. 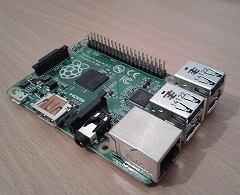 If it does not detect the programmer or detects the wrong programmer, manually select the hardware and the PC port it is connected to (Menu: Hardware => Hardware Selection / Configuration). Put the PIC into the programmer hardware. 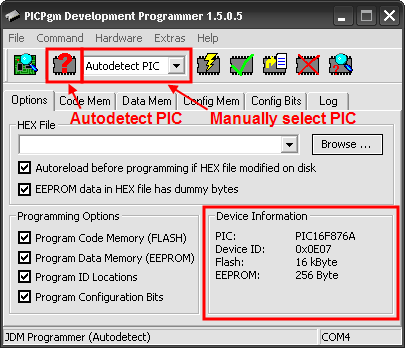 Next, autodetect the PIC by pressing the "Autodetect PIC" button in the toolbar. If the PIC is not getting detected, manually select the PIC via the combo box in the toolbar. Some PICs cannot be automatically identified because they don't have a device ID. This PICs are marked with a "*" at the end of the name in the device list for manual PIC selection. This PICs must be selected manually! 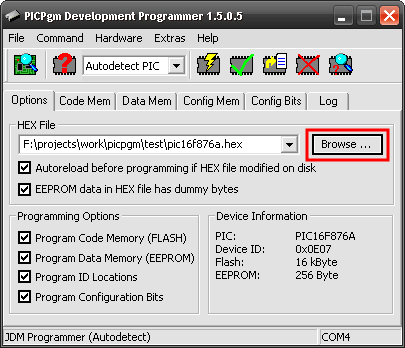 Load the HEX file to be programmed by using the "Browse" button in the "Options" tab. Alternatively, load the HEX file via the menu: "File" => "Load HEX file ...". Finally, program the PIC by using the "Program PIC" button in the toolbar.